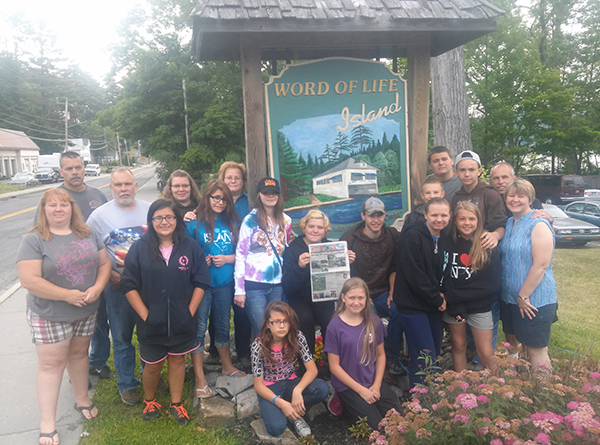 The Post traveled to Word of Life island in Schroon Lake, New York, with 12 teens and seven leaders from Maranatha Baptist Church, located at 12786 Algoma Avenue. The teens spent six days camping on the island, while the leaders stayed at the word of Life Inn and family campground. The teens were also participating in “Teens involved” during the week (which is now called Engage). If you want to learn more about Engage, call the church at (616) 696-3560. Thanks so much for taking us with you!